To investigate the relationship between social support at work and burnout among teachers, independent of the teachers’ private social and environmental context. In the 2013 “Teachers’ Quality of Life” population-based study (France, n = 2653), burnout symptomatology was assessed using the Maslach Burnout Inventory. The score for each dimension (emotional exhaustion, depersonalization and personal accomplishment) was dichotomized using extreme tertiles. Global score for social support at work, and subscores by source and type were derived from the Karasek Job Content Questionnaire and were categorized into tertiles (low, medium, and high). The private context was appraised through the “social relationships” and “environment” subscales of the short version of the World Health Organization Quality of Life Questionnaire. Associations between social support at work and burnout indicators were evaluated among 2473 teachers with complete data, using logistic regression models adjusted for the private context plus sociodemographic and work-related characteristics. Eight percent of the teachers showed simultaneously high emotional exhaustion, high depersonalization and low personal accomplishment symptoms and were considered as burnout cases. After controlling for the private context, teachers who reported high social support at work were significantly less likely to report burnout [odds ratio (95% confidence interval) high vs. low = 0.62 (0.40, 0.98)]. 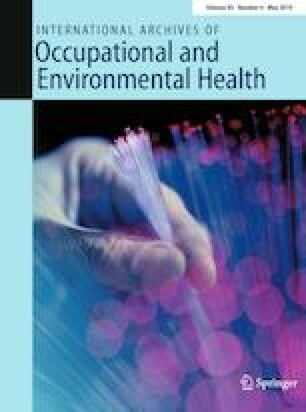 When distinguishing the source of social support at work, only high social support from supervisors remained significantly associated with a lower risk of burnout [0.43 (0.27, 0.71)]. Improving social support at work, especially from a hierarchical point of view, may be an effective target to promote teacher’s well-being. The online version of this article ( https://doi.org/10.1007/s00420-019-01431-6) contains supplementary material, which is available to authorized users. The authors would like to thank Fabien Gilbert and Pascale Lapie-Legouis, as well as the Office of Statistical Studies on Personnel of the French Ministry of Education (Direction de l’évaluation, de la prospective et de la performance—DEPP).